Since Summer Reading is in full swing I thought I would share an awesome school age program we did last week. We stuck with our theme for the week and discovered dinosaurs! Dinosaur Myths Activity: This is an awesome article (with pictures) that uncovers myths, facts, and secrets about dinosaurs. 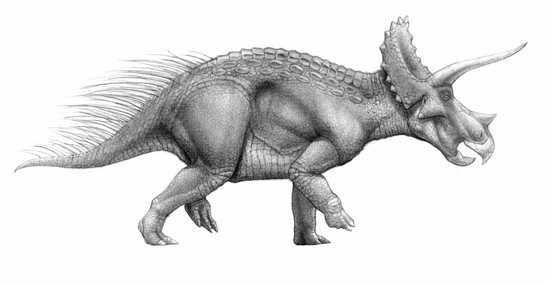 The article is called “Top 10 Dinosaurs That Aren’t What They Were”. It is found here on ListVerse. This was a great opening activity that got the group excited to learn more about dinosaurs! Dinosaur Skeleton: This craft was SO fun and turned out really cool. 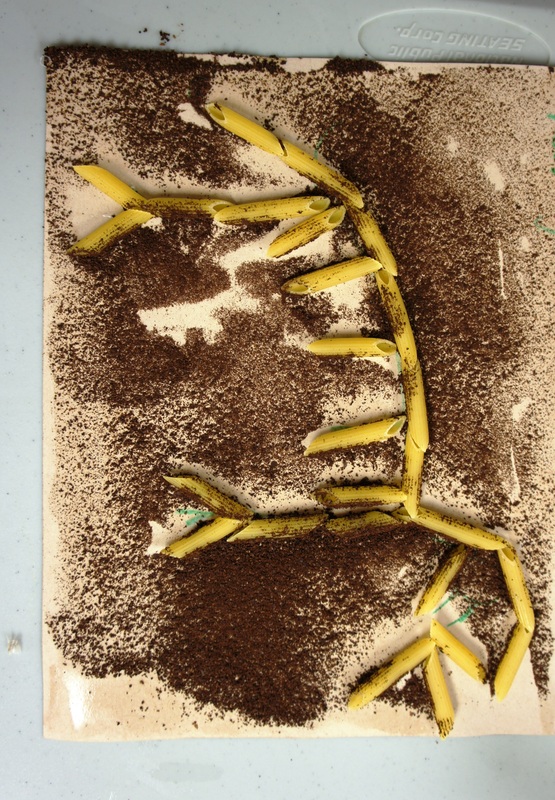 Everyone was able to make their own dinosaur skeletons using pasta and coffee! 1. Print outline of dinosaur onto cardstock. 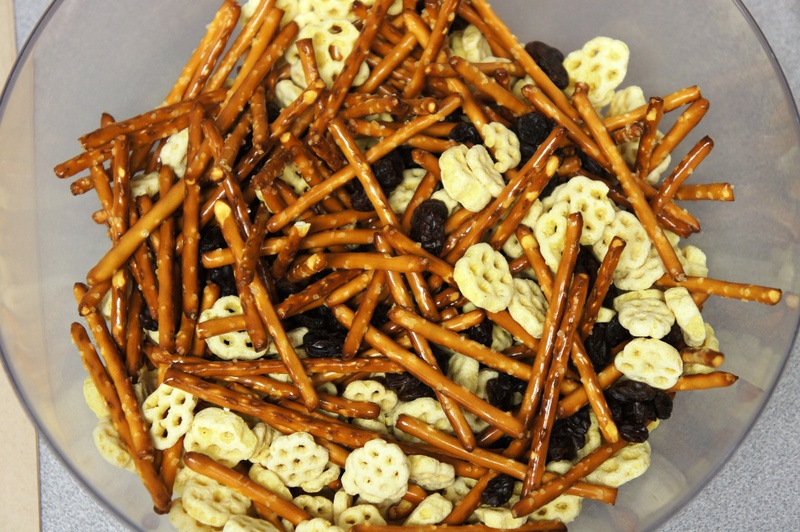 (You will need heavy paper because the pasta and coffee will weigh it down). 2. 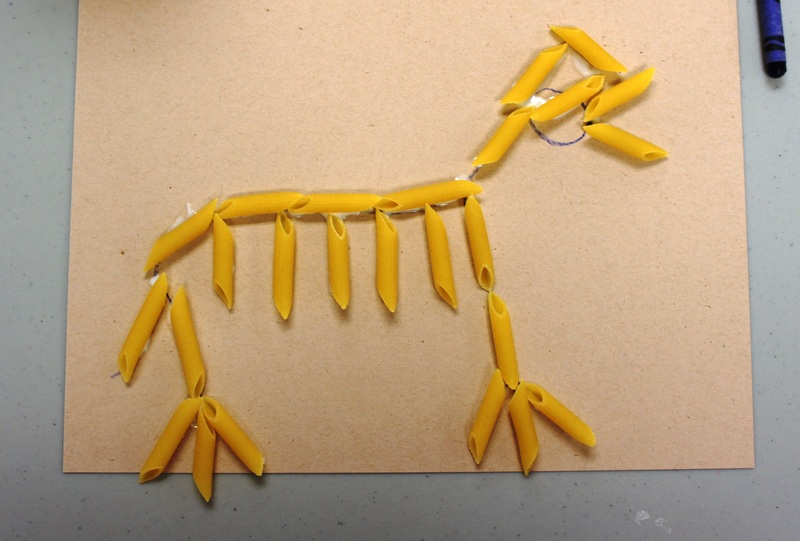 Glue the pasta on the outline. 5. Cover with coffee ground and dump off excess. 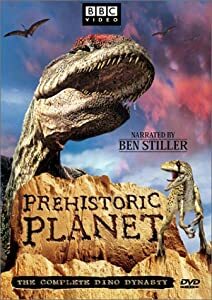 BBC: Prehistoric Planet DVD: This was a great movie to show to the group while we waited on our skeletons to dry. This movie is narrated by Ben Stiller and has 6 different 20-minute episodes. The movie segments range from “Dawn of the Dinosaur” to “Death of the Dinosaur”. My group voted to watched “Jurassic Beach” and “Jurassic Giant”. Very informative and fun! June 10, 2013 in School Age Programs. Hi Mollie! Thank you for posting this program! The dino myths and facts are great, and I think the craft will work well for my K-2 grade group. I would love to know how you translated the Dinosaur Myths article to an activity, as I’ll be doing a Dinosaurology program this summer. I love the blog, by the way!